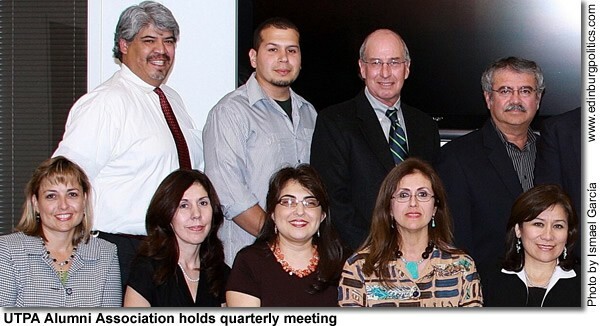 The University of Texas-Pan American Alumni Association Board of Trustees recently held their quarterly meeting in Edinburg, reviewing some of their many achievements and outlining some of their goals for the coming year, said Dr. Roland Arriola, president of the Alumni Association. The Alumni Association provides scholarships, mentorship, outreach and fundraising to improve the benefits and services for students and graduates and promote the university’s educational and technological excellence. 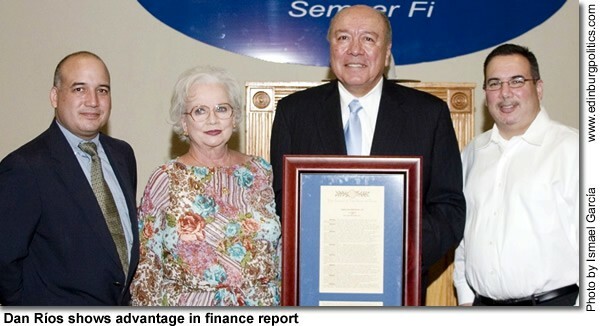 Board officers, trustees, and guests who met during a September 30 board meeting at the Wells Fargo Bank in Edinburg featured in this photograph are, from left, seated: Diane Willis of Edinburg; Carmen Lara, formerly of San Juan and current McAllen resident; Frances Treviño of Edinburg, who serves as Secretary; Norma Rydl of Edinburg, who serves as Treasurer; and María “Charo” Mann, formerly of Lima, Perú and current Edinburg resident, who serves as Vice President. 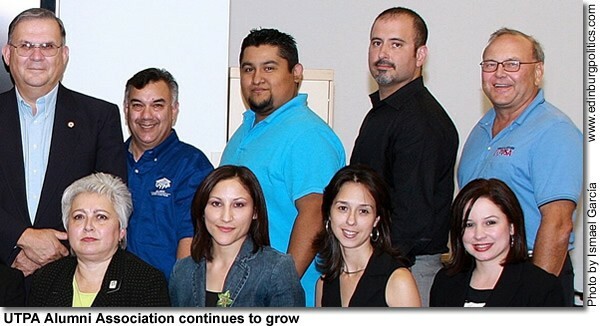 Standing, from left: Héctor Landez, formerly of Brownsville and current McAllen resident; John Taméz of Edcouch, who serves as President of the UTPA Student Alumni Association; John Sigrist, formerly of Helena, Missouri and current Mercedes resident; and Dan Martínez, formerly of San Benito and current Richmond resident. 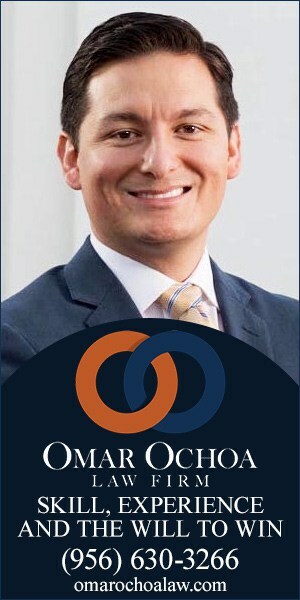 Carlos Ramos, featured here, is making his first run for elected office, seeking the Place 7 school board seat currently being held by Ciro Treviño. 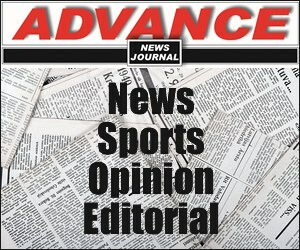 Ramos, a former police officer with the Edinburg school district, and Roger C. Bunch, Jr., a teacher at the Edinburg Alternative Education Academy, are part of the second local school board race that has not drawn the media attention of the battle between Gilbert Enríquez and incumbent Carmen González for the Place 6 spot. But that doesn’t mean the behind-the-scenes competition for the seat by Bunch, Ramos and Treviño is not as important in determining political control of the seven-member school board. See story later in this posting. 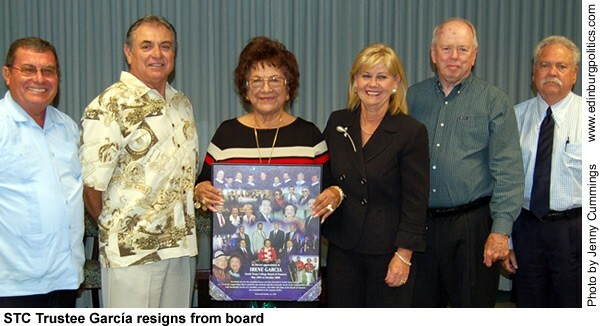 Irene García, featured third from left, who is the District 2 representative on South Texas College’s Board of Trustees, on Monday, October 13, announced that she will resign her leadership post with STC, as required by state law, when she is sworn in on November 5 as a newly-elected member of the La Joya school board. 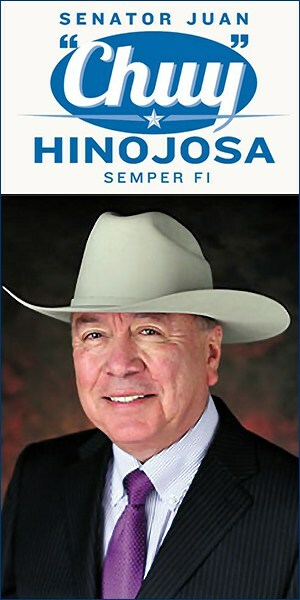 Elected to STC’s Board of Trustees in May 2000, García has represented the interests of the constituents of La Joya, western Mission, Palmview, Sullivan City, Penitas and western Alton for more than eight years. 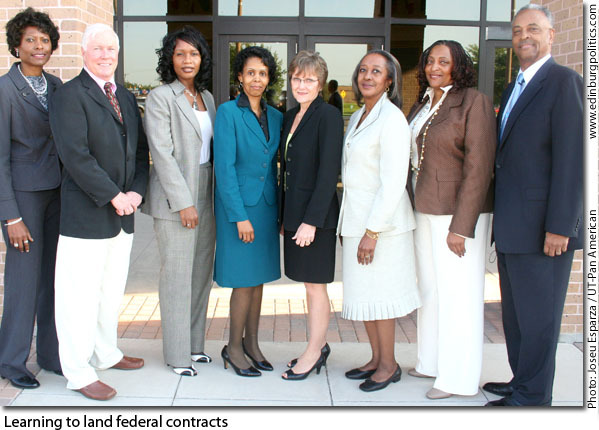 She served as secretary, vice chair and chair of STC’s board. She also helped steer the goals and actions of the board’s facility, finance and human resources, and education and workforce innovations committees. “I retired from the LJISD administration team after a career spanning four decades of service in the classroom and at many levels of administration with both the La Joya and Hidalgo school districts. 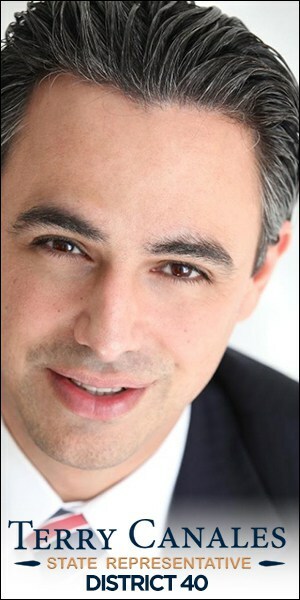 So, understandably, I have a real love and passion for this work,” said García. “I am moving my focus back to LJISD because I feel that my skills and knowledge would be a great benefit to the district’s board. 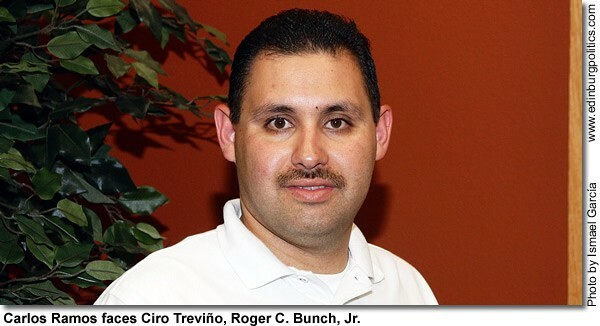 I look forward to joining the board in November, working hard to continue LJISD’s tradition of excellence." 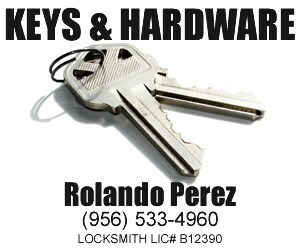 She is the mother-in-law to Rep. Ismael "Kino" Flores, D-Palmview. Her fellow trustees, along with STC President Dr. Shirley A. Reed, honored her on October 13 for her service to the community college system. 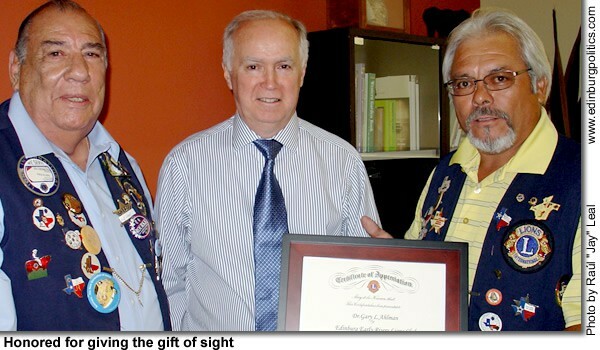 From left are: Dr. Alejo Salinas Jr., Jesse Villarreal; García; Dr. Shirley A. Reed, board chair Mike Allen; and board vice chair Gary Gurwitz. The STC board is soliciting nominations from qualified residents of District 2 in order to replace García. See story later in this posting. Area higher education leaders gathered for a Friday, October 9 press conference at the University of Texas-Pan American to discuss with Congressman Rubén Hinojosa, D-Mercedes, the recently passed Higher Education Opportunity Act, which provides greater accessibility and affordability to higher education for the nation’s students. 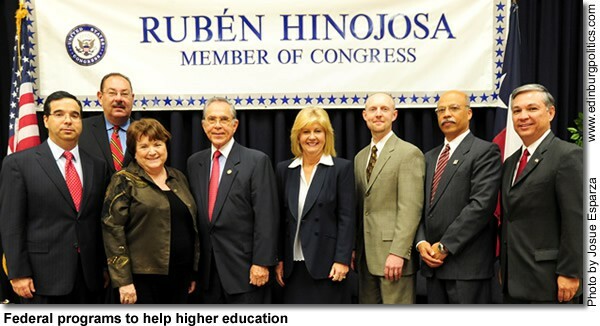 Featured, from left: Dr. Héctor Ochoa, dean of the UTPA College of Education; Dr. Antonio Zavaleta, vice president for External Affairs, UT-Brownsville/Texas Southmost College; Dr. Blandina "Bambi" Cárdenas, UTPA president; Hinojosa; Dr. Shirley Reed, South Texas College president; Pat Hobbs, interim president, Texas State Technical College at Harlingen; Dr. Michael Zúñiga, director, South Texas Center, Texas A&M University Health Science Center; and Ben Reyna, special assistant to the provost for Federal Relations, The University of Texas at Brownsville/Texas Southmost College. See story later in this posting. 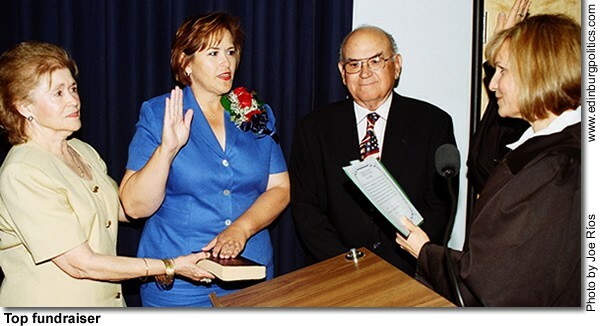 Edinburg City Councilmember Alma A. Garza, flanked by her parents, Dr. Omar and Dora Garza, took her oath of office on Monday, May 12, for a three-year term on the five-member governing body. Alma Garza, who for the first time in her young political career had faced an opponent, generated 63 percent of the vote, a significant margin of victory. 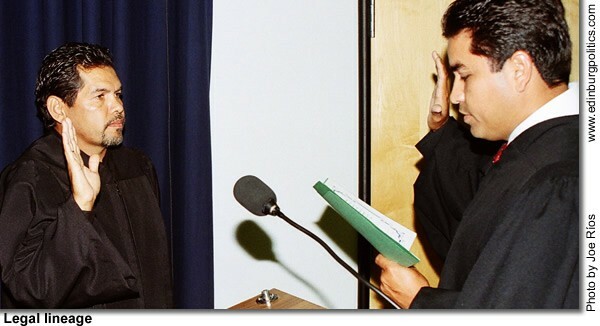 She was sworn in by Hidalgo County 206th District Court Judge Rose Guerra Reyna. Garza also raised more than $29,000 in campaign funds in the second phase of her campaign to help secure her victory, according to her campaign finance report filed with the City Secretary’s Office. See story later in this posting. Gene Espinoza, left, who was reelected to a new three-year term on Saturday, May 10, is congratulated by his uncle, Justice of the Peace Charlie Espinoza, after the city councilmember, who was joined by his immediate family, was sworn in to office on Monday, May 12. 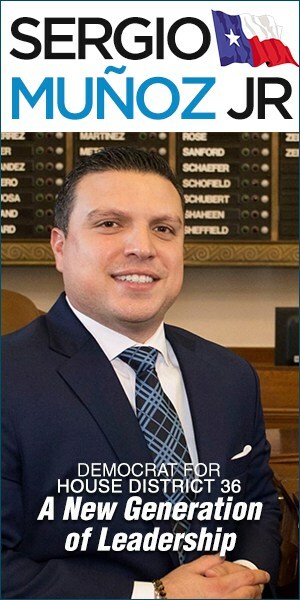 In addition to his own many supporters, Espinoza was helped in his reelection bid by generous contributions for several prominent Edinburg-area business leaders. The most recent list of his contributors, along with the campaign financial supporters for Councilmember Alma Garza, are featured in a story later in this posting. 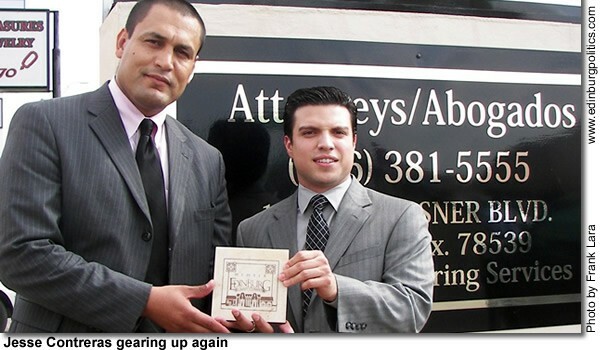 Edinburg Municipal Court Judge Toribio “Terry” Palacios, featured left, on Monday, May 12, was sworn in for another three-year term as presiding judge of the local court by his nephew, Hidalgo County 92nd District Court Judge Ricardo Rodríguez, Jr. Palacios, who is also a partner in the law firm of García, Quintanilla and Palacios in McAllen – which includes former Edinburg Mayor Richard García – serves a key role in the administering of justice in the community. 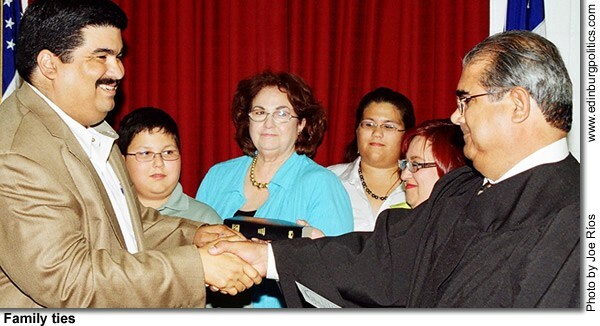 Rodríguez was a former Edinburg City Councilmember before resigning that post in October 2005 to make his own successful bid for district judge. 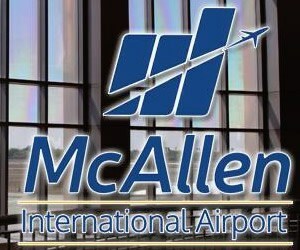 According to CourtReference.com, municipal courts in Texas have original and exclusive jurisdiction over criminal violations of certain municipal ordinances and airport board rules, orders, or resolutions that do not exceed $2,500 in some instances and $500 in others. 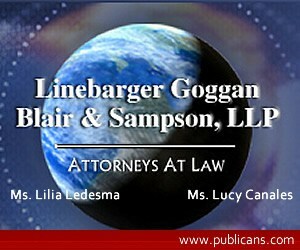 Municipal courts also have concurrent jurisdiction with the justice courts in certain misdemeanor criminal cases. 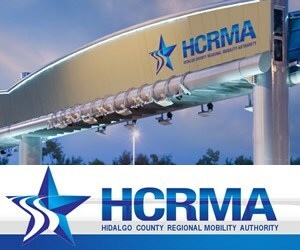 In addition to the jurisdiction of a regular municipal court, municipal courts of record also have jurisdiction over criminal cases arising under ordinances authorized by certain provisions of the Texas Local Government Code. The municipality may also provide by ordinance that a municipal court of record have additional jurisdiction in certain civil and criminal matters. Municipal judges also serve in the capacity of a committing magistrate, with the authority to issue warrants for the apprehension and arrest of persons charged with the commission of both felony and misdemeanor offenses. As a magistrate, the municipal judge may hold preliminary hearings, reduce testimony to writing, discharge the accused, or remand the accused to jail and set bail. 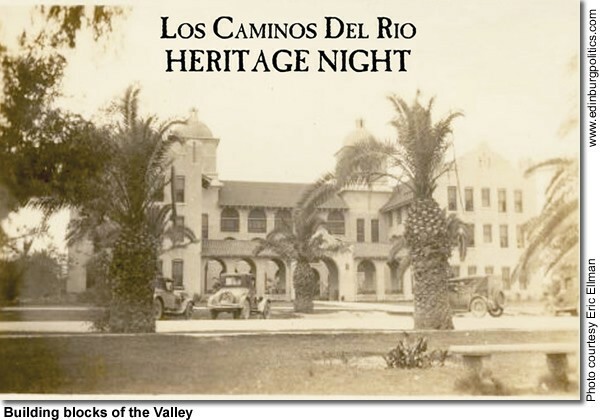 Dr. Scott Cook, one of the world’s expert on Mexican brick culture, has a unique window on Valley’s history, and he will be in Edinburg on Wednesday, June 11, to share those perspectives at the Museum for South Texas History, located at 200 N. Closner, immediately northeast of the Hidalgo County Courthouse. Accompanying him will be local musicologists and “North of the Border” radio show hosts Joe and Rosa Pérez (singing songs of the brick-makers). The presentations will be held from 6 p.m. to 8 p.m., and wine and hors d’oeuvres will be provided. Cook is professor emeritus of anthropology and interim director of the Puerto Rican and Latino Studies Institute at the University of Connecticut. He lives in Willimantic, Connecticut. There is a $5 donation requested, and the event calls for business casual attire. To RSVP or obtain more information, interested persons may call 956/ 776-0100, extension 311. 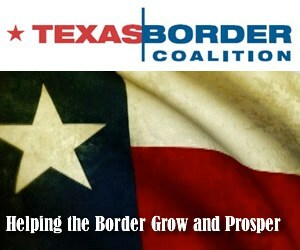 Texas Speaker of the House Tom Craddick on Wednesday, April 30, told area residents in McAllen that he has been a champion for Texas community colleges since his 1969 election as a state representative from Midland. It was his work with Midland College, he says, that led him to realize the important role of community colleges. “Being here today makes time served in the legislature worthwhile,” Craddick told a crowd during his late morning visit to the South Texas College Pecan Campus in McAllen. The college honored Craddick at a reception and thanked him for his many contributions to STC and other Texas community colleges. 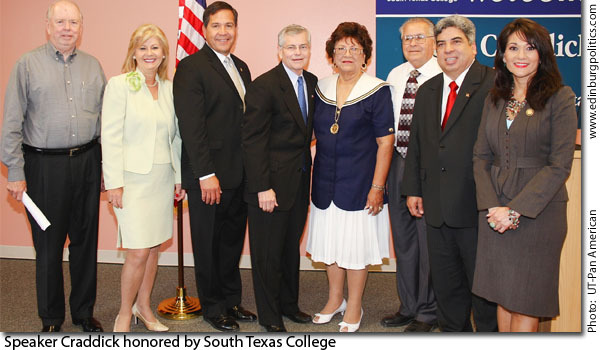 Featured with him in this portrait are, from left: STC Board of Trustees member Mike Allen; STC President Dr. Shirley Reed; Rep. Ismael “Kino” Flores, D-Palmview; Craddick; STC Board of Trustees president Irene García; Palmview Mayor Jorge García; Rep. Aaron Peña, D-Edinburg; and Rep. Verónica Gonzáles, D-McAllen. See story later in this posting. Howard Pebley, featured left, on Wednesday, April 30, in Pharr received a special award from Speaker of the House Tom Craddick, center, honoring Pebley, President of McAllen Construction, for his many years of dedicated service to the Republican Party and the community. Craddick, a Republican from Midland, was the keynote speaker for the Lincoln Day Dinner, which raises funds for the Hidalgo County Republican Party. 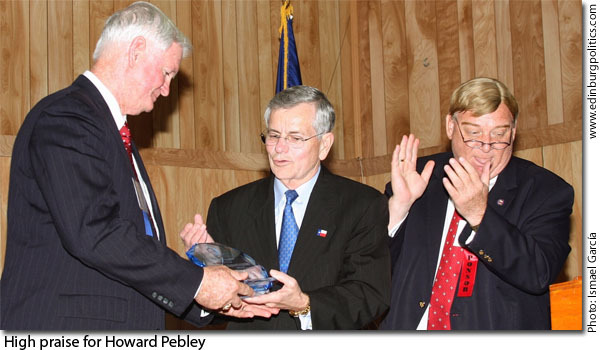 Hollis Rutledge, featured right, who is chairman of the Hidalgo County Republican Party, told more than 100 supporters at the event of Pebley’s considerable professional and community achievements, ranging from serving as chairman of the McAllen Economic Development Corporation, being appointed by then Gov. George W. Bush to the One Call Board of Texas, to holding the leadership role of President of the Associated General Contractors of Texas (Highway, Heavy Utility, and Industrial Branch). 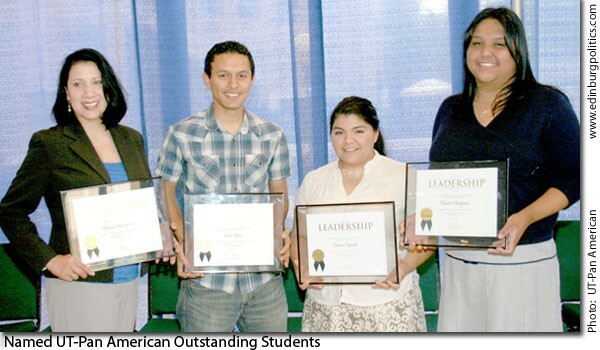 Five student leaders at The University of Texas-Pan American were honored during the Salute the Leaders Award Luncheon held April 17 as part of the annual National Student Leadership Week April 14 – 19. Now in its fourth year, the program hosted by the UTPA Student Leadership Academy and Program, honors outstanding university students for campus and community involvement. 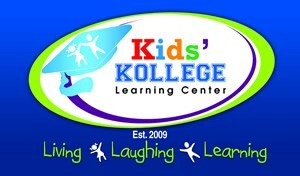 Students are nominated based on academic achievement, demonstrated leadership, and/or service to the community. Forty-four students were nominated. Featured are award recipients Melissa Hernández, graduate student in occupational therapy, from Pharr; Cruz Ríos, senior communications major, from Edinburg; Diana Cepeda, senior biology major, from Los Fresnos; and María Hinojosa, senior bilingual education major, from Donna. Not pictured is James Berglund, senior biology major, from Corpus Christi. For more information on the Student Leadership Academy, contact Amy Martin, program coordinator, at 956/381-2262. 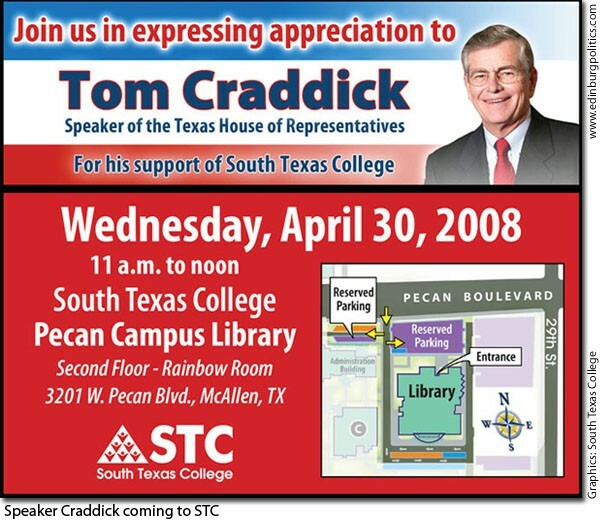 Texas Speaker of the House Tom Craddick, R-Midland, will be honored on Wednesday, April 30 by South Texas College at its Pecan Campus in McAllen. The event, which is free and open to the public, represents a major coup for the community college because as speaker, Craddick is one of the three most powerful men in the Texas Legislature, along with Gov. Rick Perry and Lt. Gov. David Dewhurst, also both Republicans. Craddick’s visit also represents his first public venture into South Texas after he helped significantly fund the successful reelection bids in March by Rep. Aaron Peña, D-Edinburg, and Rep. Ismael “Kino” Flores, D-Palmview. 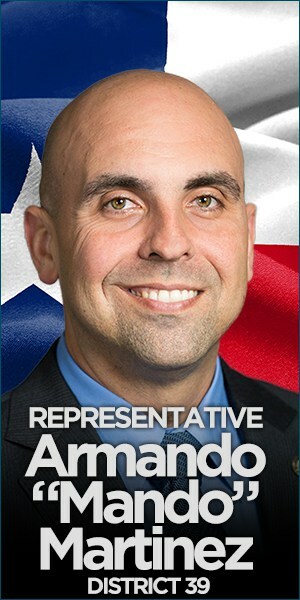 Both South Texas Democrats were roundly criticized for being loyal to Craddick and some of his policies, including a controversial plan which was blamed for costing the Rio Grande Valley an additional congressional seat, and with it, hundreds of millions of dollars annually in federal funds. However, Peña and Flores opposed Craddick’s congressional redistricting efforts, and countered that by being loyal to Craddick, South Texas has picked up large increases in state funding and programs at higher levels than many other regions of the state. 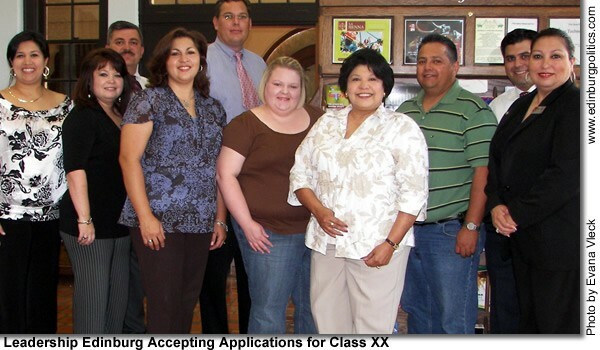 In a spirited ceremony “a la Bobcat-style,” Edinburg High School was honored on Wednesday, April 22, by the College Board with a 2008 College Board Inspiration Award and a check for $25,000 at a special assembly. 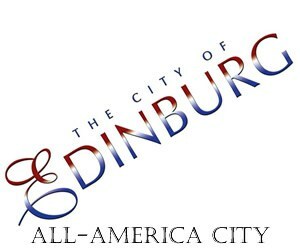 EHS is one of three schools in the nation to receive the coveted 2008 award. 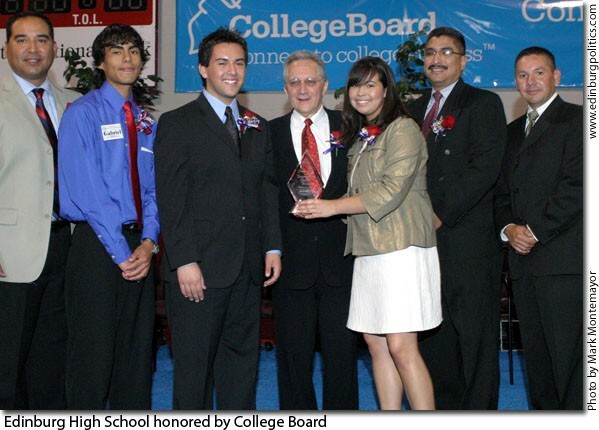 Featured accepting the 2008 College Board Inspiration Award at the event, from left, are: ECISD Trustee Robert Peña; Gabriel Luna, Jarrod Salaiz, and Cassandra Sáenz, EHS student leaders; Peter Negroni, College Board Senior Vice president; ECISD Trustee David Torres; and ECISD Trustee and Vice President Omar Palacios. See story later in this posting. Small business owners from not only South Texas but from as far away as Georgia joined faculty and staff members at The University of Texas-Pan American April 16-17 to learn how to successfully identify and pursue government contract opportunities with the U.S. Department of Health and Human Services (HHS). Participating in the workshop hosted by UT-Pan American, and co-sponsored by the Office of Small and Disadvantaged Business Utilization (OSDBU) and the U.S. Department of Health and Human Services (HHS), which contracted with RGF Consulting Corporation (RGFCC) to conduct the workshop were, from left: Cassandra Ford, presenter, RGFCC; Clarence Randall Jr., OSDBU; Teneshia G. Alston, HSS; Deborah Walker-Sewell, RGFCC; Dr. Wendy Lawrence-Fowler, UTPA vice president for Research and Sponsored Projects; Felicia Gaston, presenter, F.M. Gaston Associates; Theresa Bailey, UTPA director of Sponsored Projects; and Robert Flowers Jr., presenter and RGFCC president/CEO. See story later in this posting. 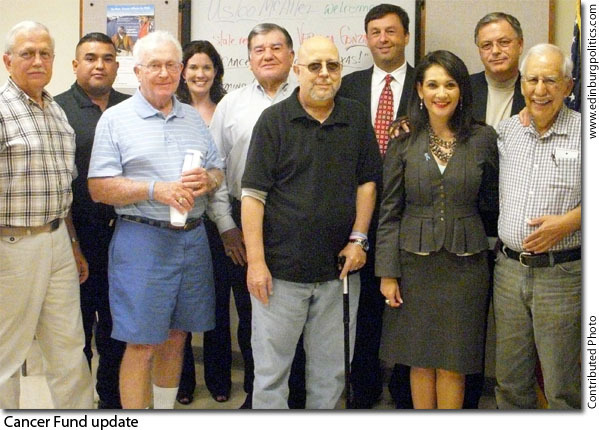 Rep. Verónica Gonzáles, D-McAllen, recently addressed the membership of Us Too – McAllen Chapter, a prostrate cancer support group, as a guest speaker to deliver her message of hope for advancing cancer research in Texas at the Edinburg Regional Medical Center. “Statistics are well known, but they are no less shocking,” said Gonzáles. “These men and their families are the lucky ones.” Among the most shocking statistics state that in Texas; one in four deaths is caused by cancer. A new case of prostate cancer occurs ever 2.5 minutes and a man dies from prostrate cancer every 19 minutes. The estimated total cost of cancer in Texas is $30 billion a year. Gonzáles shared with the audience of cancer survivors her hope with the success of Texans’ efforts to approve the landmark creation of the Cancer Prevention and Research Institute of Texas. See story later in this posting.